This year and for the coming years we are going to use the occasional midweek services as an attempt to better catechize our people. Stemming off of the success of last year’s The Lord’s Prayer in the Lord’s Passion we are using this year to teach the Ten Commandments. A daily devotional is being worked on to complement this theme. The plan is first designed with Vespers in mind (with added opening and closing hymns because Lutherans like to sing). Hymn numbers are from Lutheran Service Book. Normal propers are expected to be used for Ash Wednesday and Holy Week services. 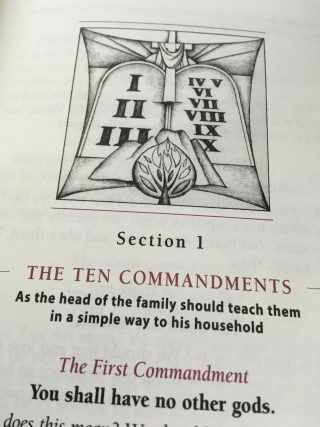 For the Office Hymn, you may also want to capitalize on the catechetical theme and use LSB 581 “These are the Holy Ten Commands” either in its entirety or with selected stanzas fitting for that week’s focus. Sequentially discern visitor friendly start-ups.